Thank you so much for stopping by my blog during the Fiber Art Connect blog hop! 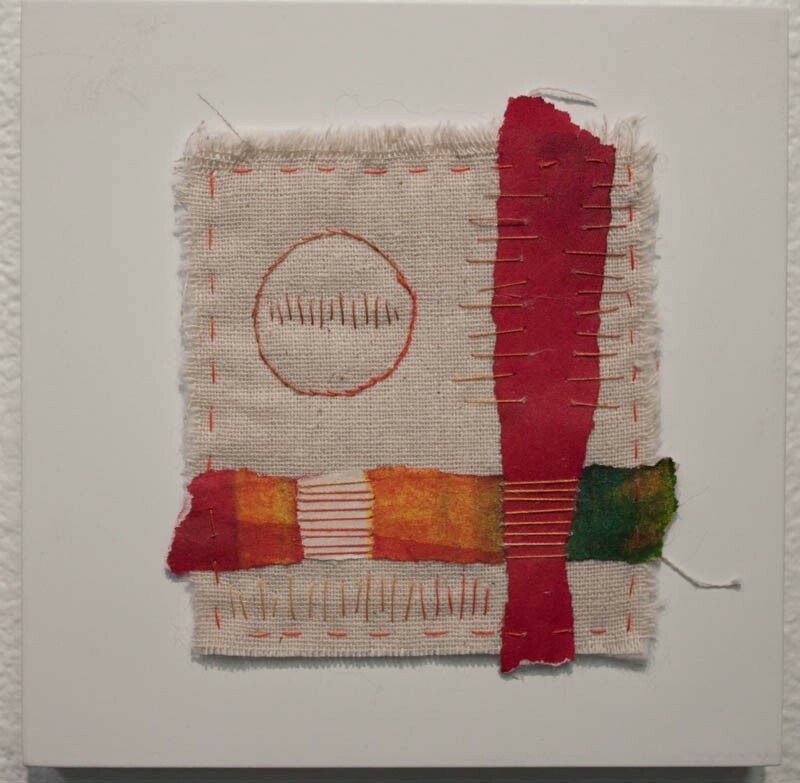 I am so excited that Desiree Habicht has created the Fiber Art Connection. I wish I had had this access to such wonderful teachers when I first embarked on my art journey. So much great education coming to me for such a great price! I love how FAC is about connecting and there will be opportunities for discussions, growth, learning and sharing in this online community. In order to build a great community experience students won't be able to register after classes start. Registration for the Fiber Art Connection CLOSES on March 15,2016 so be sure to register before then. Of course you can Register now! Take a leap and grow with us! One thing that all the teachers at FAC have in common is we love getting to know our students. We are all about community, encouragement and helping our students grow and bloom into the artist that lives inside of them. What draws you to the fiber arts? Why do you work the way you do? Ever since I was a little girl I have loved fabric. I love the way it drapes and the many textures of it. I tried other art media and often take classes outside of textiles but I always come back to fabric. Why do I work the way I do....hmmm that is a big question. Over the years I have looked for the 'right' way to work. It has taken me a long time to realize that there is no 'right' way and my way is as good as any! And, of course if I am not true to my way of working I don't get much work done. I work a lot in my head. Thinking through design issues as I drive or do the dishes. I tried for years to work on paper but it just doesn't work for me. I do work in a sketchbook but not necessarily to design a project. I use a sketchbook to experiment with techniques but most often to simply play. I have been working on my drawing skills the last couple years and I do use a sketchbook for that. Tell us about your studio! Where in the world is it? Is it clean or messy? Is it hidden away or out in the open? I have a public studio space at Cottonwood Center for the Arts. I love my studio space there. Moving into an art center has been life changing for me. I didn't realize how much I needed the comradery of other artists. Being surrounded by so much beautiful art is inspiring and it has given me courage to stretch and grow. 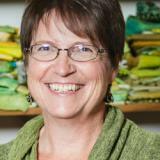 I share the studio with Cass Mullane a friend and fellow textile artist. The studio at Cottonwood is generally very tidy and we have a small gallery space. 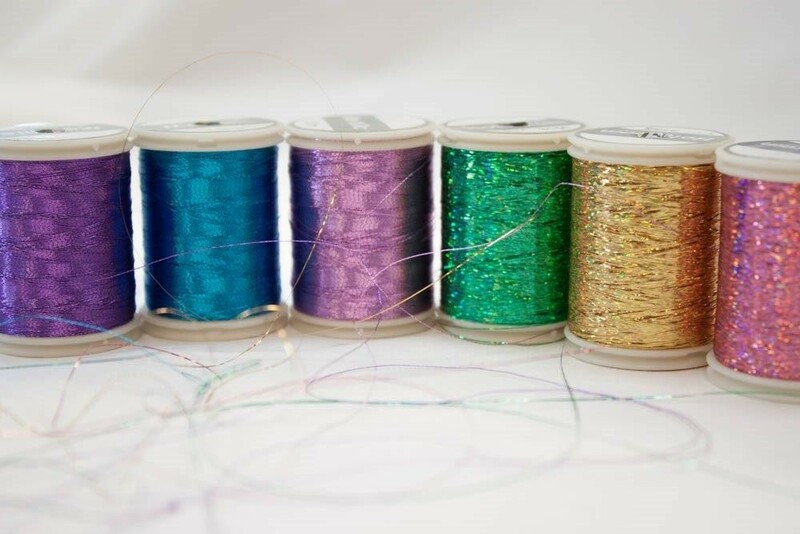 The Thread Lab is a teaching space underwritten by WonderFil Specialty Threads. Half my thread is there and the other half in my main studio...never the one I need of course! Yellow Green! I love every tint, shade and tone of yellow green from chartreuse to deep olive....yes, even that shade that looks like baby poo. To me this is the color of possibility, growth and freshness. What's your least favorite thing to do when you're working a piece? Cleaning up after I am done! I tend to pull everything out and have piles everywhere when I am creating....I wish I had an efficient studio elf that would come in to clean after every project. If you could fly where would you go? If I could fly I would love to fly to all the National Parks. Wouldn't it be cool to see them from the vantage point of a bird? Tell us about the class you’re teaching in The Fiber Art Connection. What do you hope your students will learn from this? My Fiber Art Connection class is all about collage. It is everything I wanted to learn when I was trying to learn collage: enough composition and design to feel confident, ways to organize my thoughts to communicate the feelings, emotions and story I want to share and fun techniques to make it uniquely mine. Collage is a wonderful medium and so accessible to everyone because you don't need a lot of expensive materials to get started. I hope my students can use this medium to discover and develop their own unique style of expression. Where else can we find you on the internet?  I am on facebook, instagram, google+ and of course on my web site here. In your comment, tell me what you most want to learn this year--doesn't have to be textile art related. 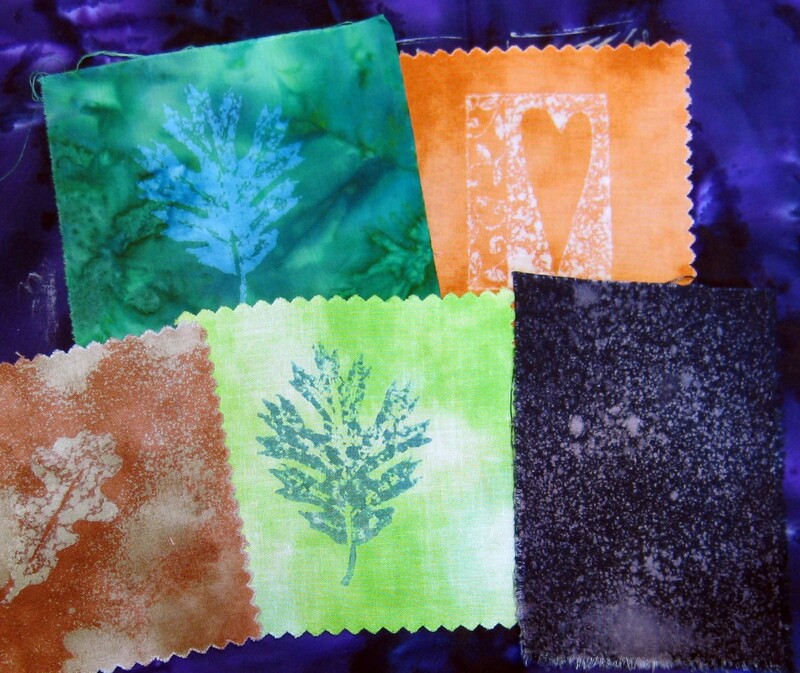 Visit the rest of the fabulous artists teaching at Fiber Art Connection for more chances to win! Commenting on all the posts will be open until midnight your local time on 3/14, which is the day before the course actually starts. After combining all the entries, we’ll user random.org to choose a winner, Desiree will ship to the winner that next day so they could use the items in the class if they registered. Register for the workshop that will change your art! Don't forget you can enter multiple times at each stop along the blog tour by following step 2 on each one as well as leaving a comment!